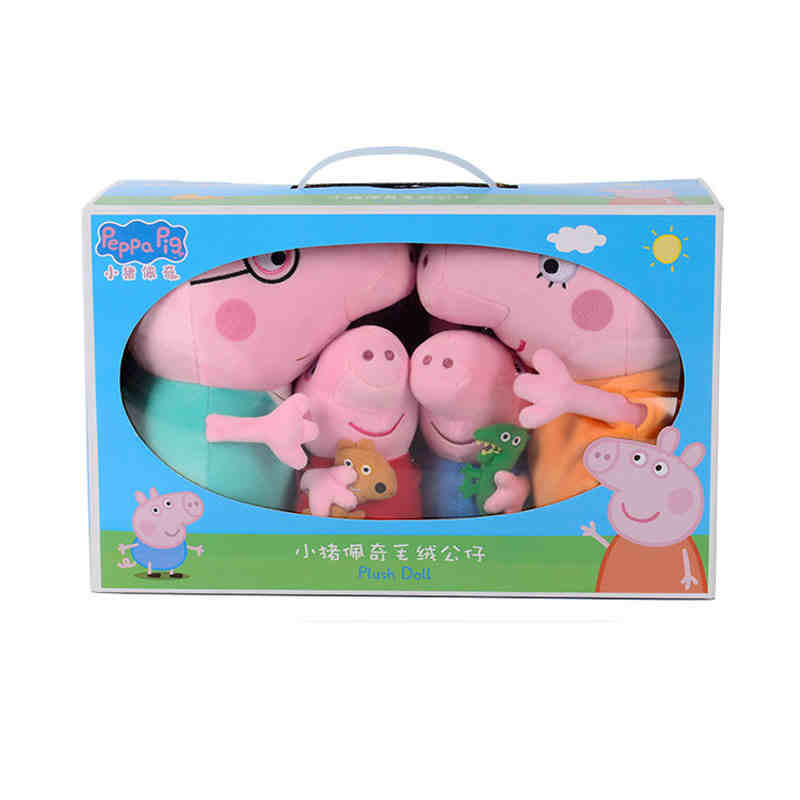 This cute family of Peppa Pig and her family are super soft and cuddly. 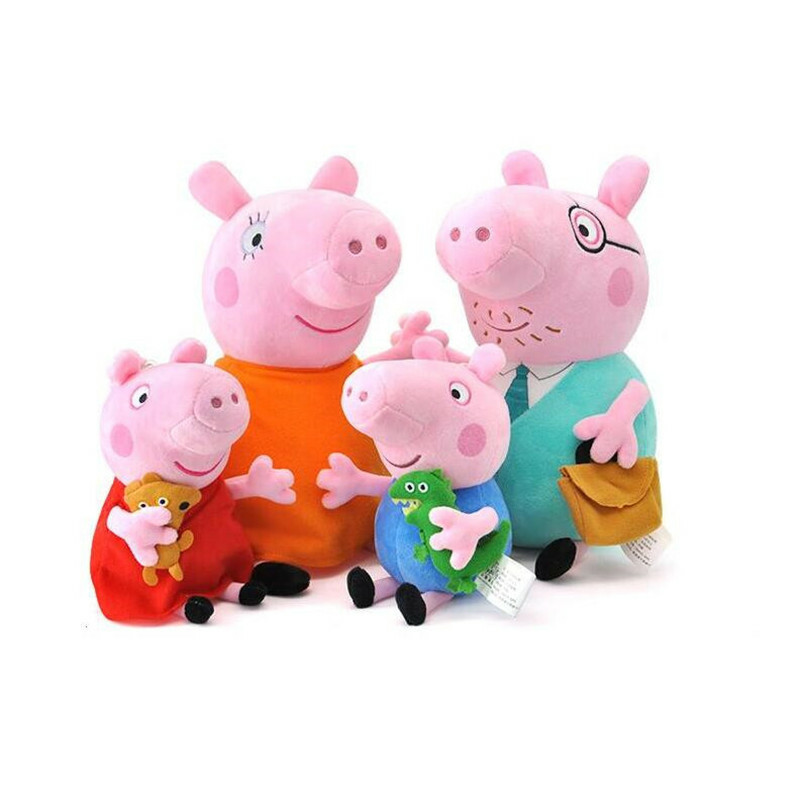 Daddy Pig and Mummy Pig are 30cm tall whilst Peppa and George are 19cm tall. Daddy is carrying a briefcase, Peppa is carrying her Teddy and George, of course, is carrying a Dinosaur. Each family member is brightly coloured and really resemble the cartoon characters using computerised embroidery to the face, especially the eyes. 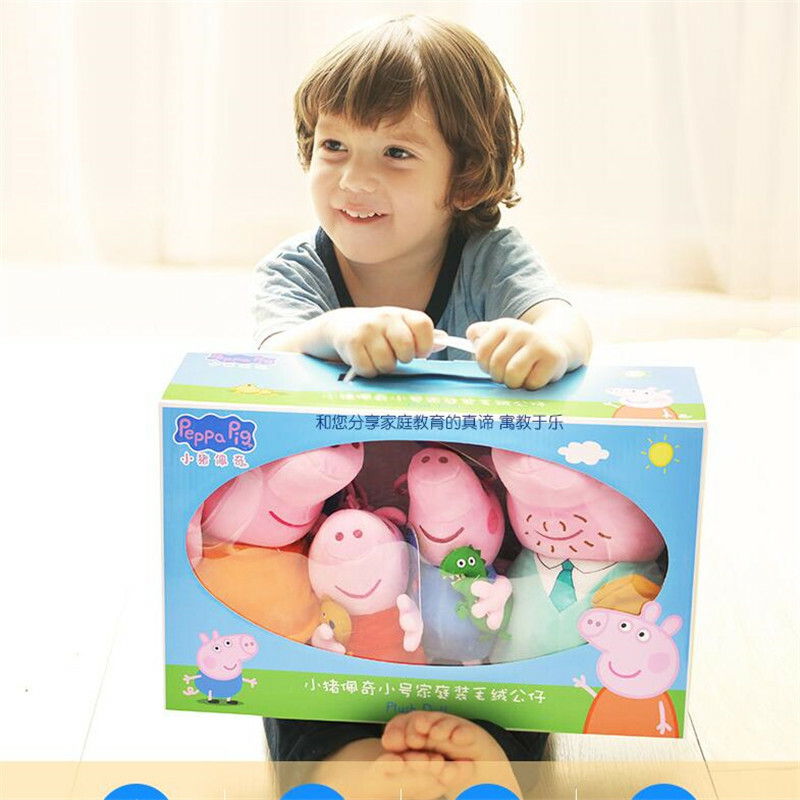 Keep your child entertained with these wonderful stuffed toys. 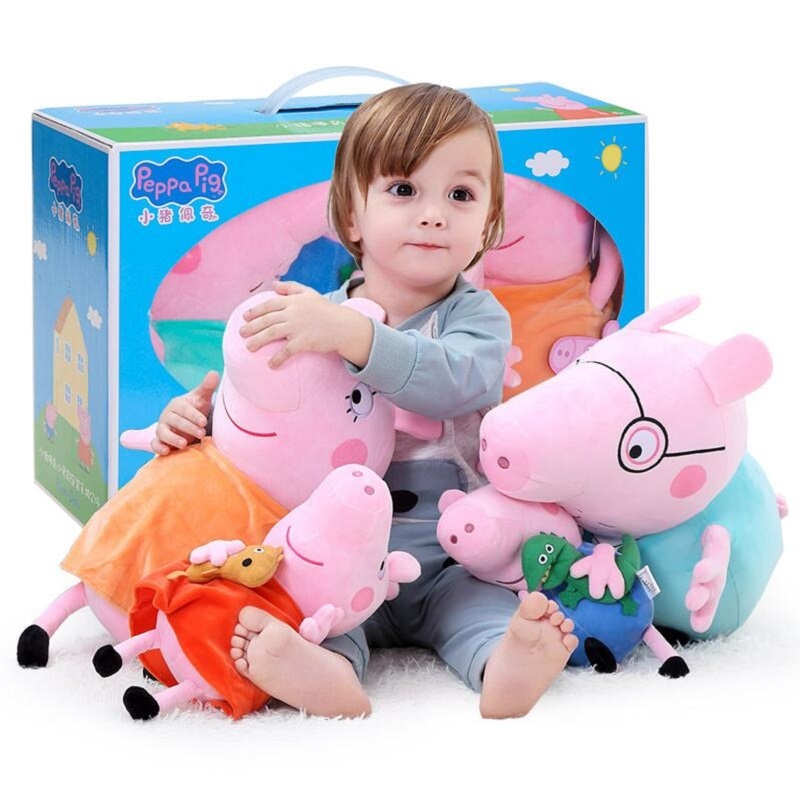 The soft and cuddly toys are made from a velvety plush fabric with squeezable arms and legs that are perfect for inquisitive little hands. Yes,100% Genuine.Offical genuine tag with laser anti-counterfeiting label on the toy. Crystal super soft fabric,fill with high quality PP cotton, No stimulation,no smell,Smooth feel,Good gloss. Q4 What's in the package? Come with original plastic bag. They are 19cm and 30cm, error within 1cm. 1、The Lengthis measured from the feet to ear. 2、There is a hook on the head,if you don't like, you can easily cut it off,won't affect anything. 3、Remove the tie-wraps and nail catcher before giving it to children.